Our client was looking for 'driveway ideas' and found StoneSet online among many 'faux stone' solutions. The major appeal of StoneSet was the opportunity to resurface driveways rather than the cost of sending existing concrete to landfill. StoneSet doesn't colour match existing stone, however with 30 colours of stone available and the ability to create custom blends, we can effectively create a seamless transition from an existing stone, painted surface or paving surrounds. StoneSet's 24 colours of natural stone and 6 colours of recycled glass please custom home designs where homeowners get to choose their colours. Because StoneSet sources natural stone for porous paving, it doesn't fade with UV exposure over time. This means your natural stone resurfaced driveway will retain its colour, unlike synthetic alternative surfaces. StoneSet can be used as a surface dressing to bring it back to life, looking better than ever. 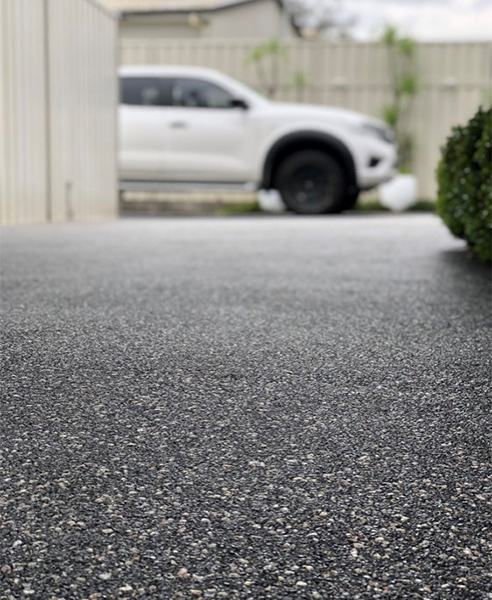 When originally conceived StoneSet was designed simply for an attractive, natural surface for overlaying concrete and asphalt, where the 'ashfelt' and looks quite old! 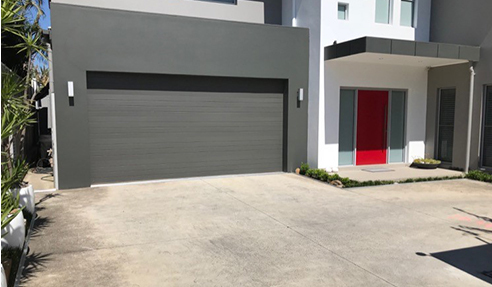 By applying a 16mm thick "Overlay" of StoneSet, you are applying one of the most affordable and long lasting driveway finishes when it comes to value for money. 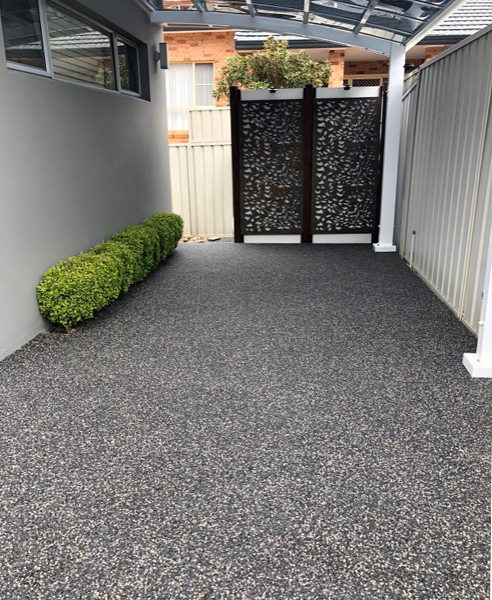 Here's a gallery of some of our most striking transformations of old concrete driveways, you can click on the links or photos to read more about each application. Visit www.stoneset.com.au for more information today. I would like to enquire about StoneSet.